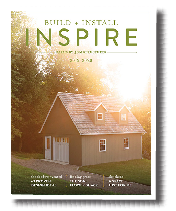 Chef Kathy Lehr puts her Aurora barn to many uses. It is her classroom for students learning how to cook in a clay oven, an outdoor kitchen for serving guests and winter storage for tables, chairs and cooking gear. Aurora, 10'x16'. Pine Cove siding with Smoke stain, Weathered Wood shingles, 72" fiberglass doors with 10 lights and Cherry paint on both sides, 24"x24" aluminum windows across the back wall, 28"x29" wood-framed windows, cedar flower boxes, corbels, radiant heat barrier roof sheathing, workbench and 2' loft. 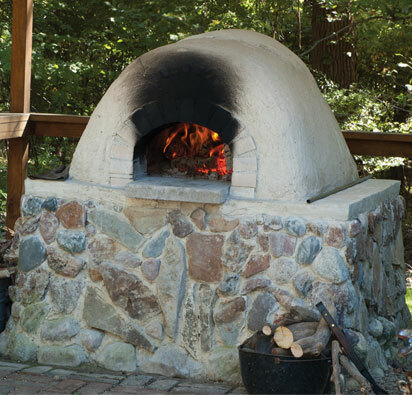 The clay oven in Lehr’s backyard was built by Lehr herself, and it can be used for almost anything, including pizzas, roast meats and artisanal breads. Her new Aurora barn, furnished with stainless steel kitchen tables and stools, lets students do last-minute prep or cool freshly baked loaves. 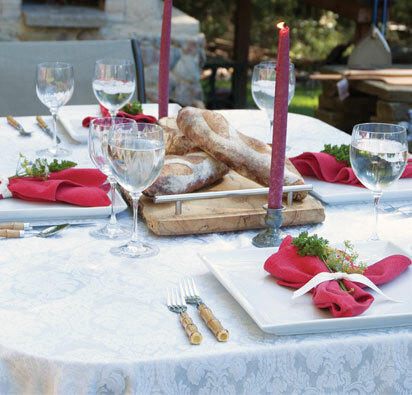 Lucky friends of Lehr’s enjoy al fresco dinners, everything prepared with the freshest ingredients, including vegetables from Lehr’s huge garden, the very best of local sources. “Ovens like these,” says Kathy Lehr, “were used by ancient tribes across the US and Mexico. 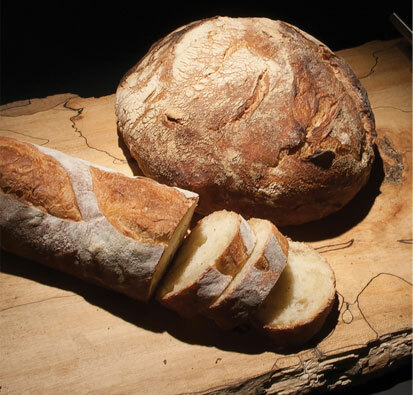 They provide conductive, convection and radiant heat all at once.” To learn more about cooking or oven-building classes or buy Lehr’s bread-making DVD, inquire at taoofdough@neo.rr.com.